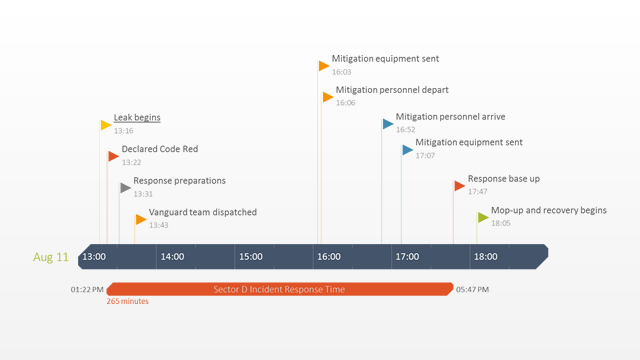 The blank timeline template for PowerPoint was created for anybody who needs to quickly make a timeline illustration that looks impressive and is easy to read. It was generated in Microsoft PowerPoint so it can be easily customized and restyled to suite your preferences. This blank timeline was designed with milestones above and below to better utilize the space. 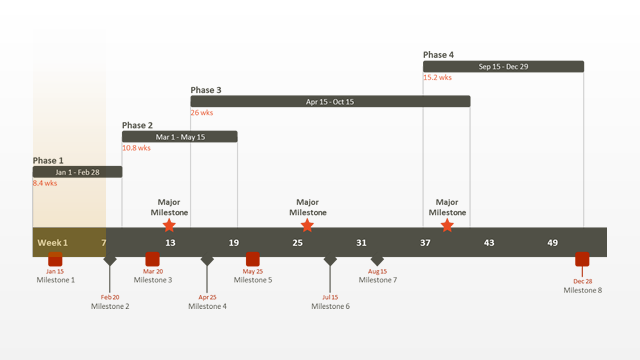 It is a generic timeline, which means it can be manually edited with your own milestone dates. The blank timeline template was designed for people who need to present a high-level summary of a project in an easy to understand way. The template intentionally has adequate space left around the timeline to facilitate notes or comments that authors may want to include on the slide. This makes it an ideal template for building one-page summary reports for client and executive scorecards. It is also a useful tool for project planning when presenting new business ideas or proposing plans to customers. 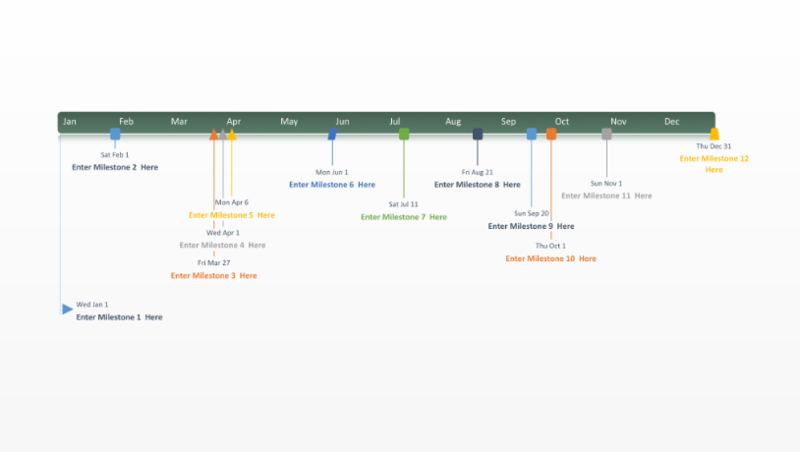 Since it is natively built in PowerPoint, the blank timeline template can be embedded or pasted into any Microsoft Office document, such as a proposal, a project charter, a marketing plan, a schedule or business review. 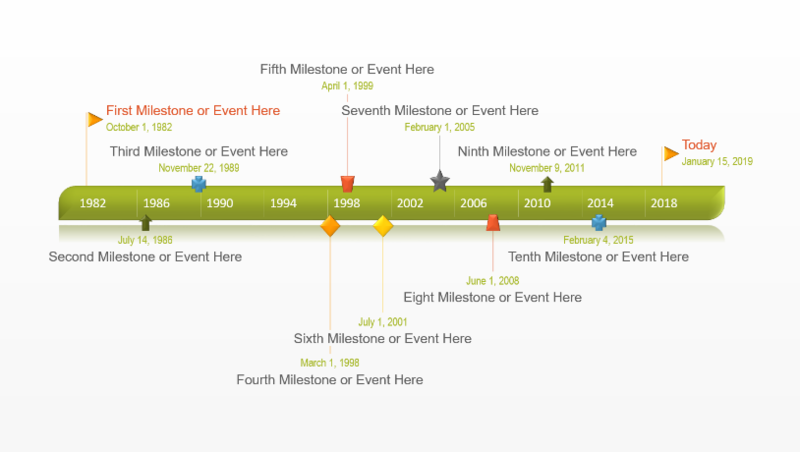 The blank timeline template was made with a free PowerPoint timeline generator from Office Timeline. This means it can quickly be edited. Office Timeline will build the timeline with your information automatically. 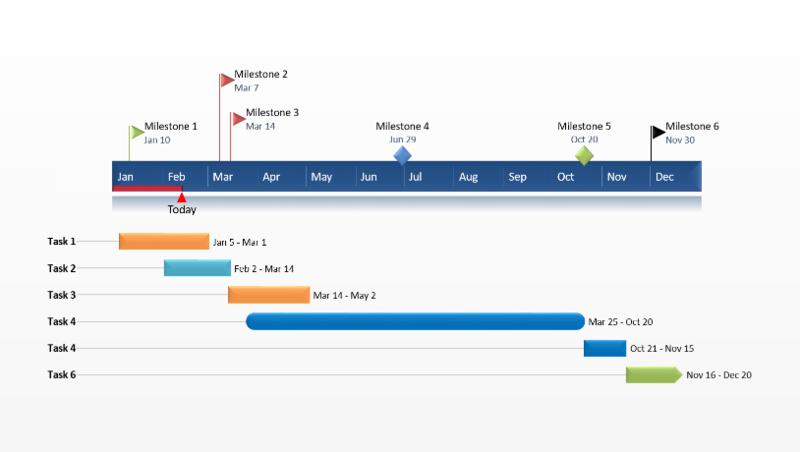 Office Timeline can also automate style changes, such as changing the shape of milestone markers or adding Elapsed Time and a Today marker so you can illustrate the progress of your plan or project. Additionally, the timeline generator makes it really simple to update your slide in a few clicks as plans change. You will never have to spend time re-building the slide for each recurring review or presentation, because Office Timeline can do this in a few seconds.